MADRID - Spanish authorities isolated an Air France plane at Madrid's airport and activated emergency health procedures after one of the passengers was reported to have a fever and shivers in what is being treated as a suspected Ebola case, officials said Thursday. A Spanish Airport Authority spokeswoman said the passenger jet had arrived in Madrid from Paris. She said the plane was taken to a special area of the airport complex and the passengers were being kept on board. A health ministry spokeswoman said they were treating it as a suspected case of Ebola. Both officials spoke on condition of anonymity in keeping with the regulations of their respective offices. The private Europa Press news agency said there were 183 passengers on the plane. Spain's El Mundo reports the passenger had traveled from Lagos, Nigeria to Paris and then on to Madrid. According to the CDC, there have been only a few reported cases of Ebola in the Nigerian cities of Lagos and Port Harcourt, and the outbreaks there have been contained. 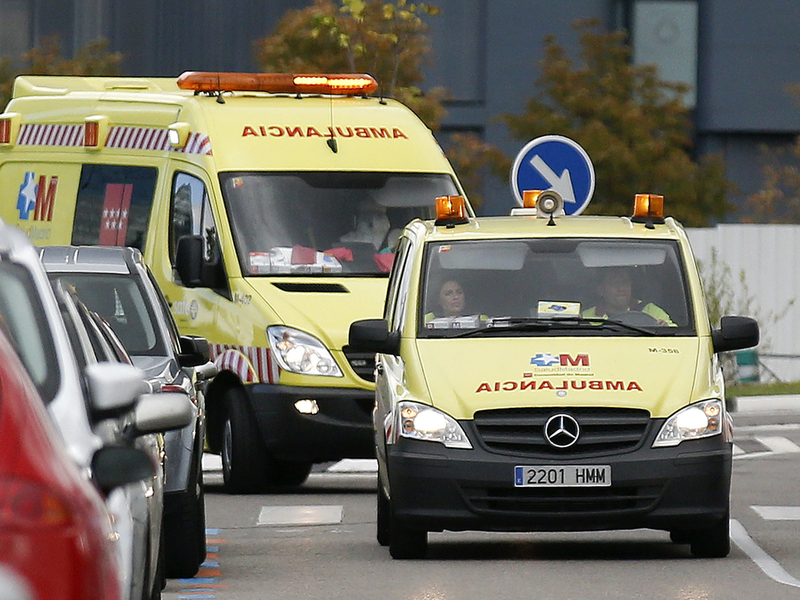 El Pais reports the passenger has been transported to Madrid's Carlos III hospital -- the same facility where a Spanish nursing assistant with Ebola is being treated. Earlier, a Health Ministry official said the condition of nursing assistant Teresa Romero appeared to be improving, but a person who came into contact with her before she was hospitalized Oct. 6 has a fever and will be hospitalized and tested for the virus. Romero, 44, is in stable condition and the level of Ebola virus in her body was declining, ministry spokesman Fernando Simon said. Romero has been hospitalized for 10 days. Simon said Thursday the person to be tested reported having a fever above 99.9 degrees F - the level Spanish authorities have set for at-risk people to be tested. He did not identify the person but said it is not a health care worker. The result is expected Thursday night.